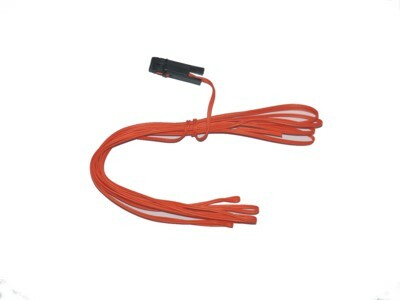 These unique igniters incorporate a "clothespin" type connector that clips to a fuse, or contacts the chemical to be ignited. When electric current (6-48V @ 2-.5A) passes through the igniter, the wire element inside the clip glows white-hot and lights the fuse. There is no flame, only a very hot glowing element. The Talon™ Igniter Clip is the most reliable method in the market for igniting standard Visco pyrotechnic fuse. This is due to their unique "spool and wrap" technology that guarantees the maximum surface contact of the burning filament to the fuse. Each clip is legal to own and ship worldwide since they are non-pyrogen compared to traditional e-match. Talon igniters were specifically designed to light "Visco" fuse however they will light any fuse and of course black powder. Since they contain NO pyrotechnic material they can be purchased, shipped, possessed and stored without any special permits!! The Talon igniter is rated at 6V-12V @ 2A-0.5A respectively, so you can use any firing system or even a simple battery to operate them.